Coming off Toy Story 3, director Lee Unkrich had an idea. He wanted to create a film based upon the Mexican celebration of Dia de Los Muertos. This was one of three ideas that he presented to the Pixar Braintrust to be his next project. Throughout the development of the film, the team worked with cultural advisors that helped them to make sure that the film felt true and authentic. This partnership combined with the numerous research trips down to Mexico paved the way for a deeper understanding that was culturally sensitive. Molina rose rapidly on the film–he started as a storyboard artist and was soon elevated to co-director due to his passion for the project and knowledge of the subject. He started at Pixar as a 2D animator working on the credits of Ratatouille and quickly, in Pixar terms at least, made it up the line to help lead a production. The film did face some difficulty throughout the process with a couple of cultural missteps and one potential look-a-like project. Early on in the process, the team had thought about calling the film “Dia de Los Muertos.” Part of the process for Disney in okaying a film title is getting a trademark on that name. There was massive blowback from the public when it came out that Disney had attempted to seemingly trademark a holiday. 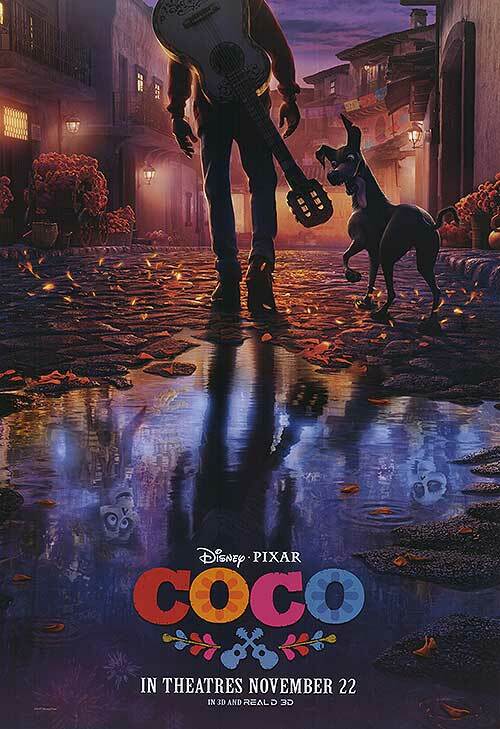 Of course the team didn’t end up using “Dia de Los Muertos” as the name of the film and chose “Coco” instead. That character name “Coco” had been used in an early version of the script and is one of the last remnants of the earliest iterations. Coco is a fantastic film and you need to go out and see it with your family. It is one of my favorite Pixar films ever and the best film of the year.